What can you learn from eight years of owning a retail store and 12 years owning a sales agency, driving around Eastern Canada between stores repping TOMS Shoes and Havaianas? Aside from learning you can’t eat chicken wings while you’re driving, the most important thing I took with me was that retailers and brands needed a better way to train and communicate with front-line employees. My retail store sold complicated, technical products, so I was intimately familiar with a headache every retailer runs into: the constant need to deliver informative, engaging training to staff in a high turnover environment. The challenge of getting new employees up to speed with new items, on-boarding new hires, and training my team on the store’s policies and procedures was time-consuming, repetitive and expensive. I thought, just like every retailer, that it was just the cost of doing business. Later, as a brand rep and sales agency owner, I also saw the other side of retail training – spending countless hours in the car driving back and forth across Eastern Canada, visiting individual stores to train retail sales associates in person. The industry’s standard training model was well known to me: sales associates sifting through the dusty, outdated binders tucked away behind the counter if they had the time. I also knew the life of a brand rep: driving a van through a snowstorm to get to a training session, only to arrive at the retail store to face a handful of slightly disaffected sales associates. But, like any rep worth his salt, I put in the time and logged the miles because I knew that a staff who knows the product will sell more of it. But maybe they wouldn’t. Maybe those old ways weren’t working anymore. I thought that there must be a better way. These doubts came to a head towards the end of 2013. I had prepared a marketing video for two of the largest retailers in Canada. I asked them to share the video with the front-line employees who would be selling the products…but they couldn’t. It wasn’t that they didn’t want to share the video. They loved it, they loved the idea, and they knew it would drive sales. But they simply had no way to share a video with their team. Even though brands were creating great content all the time, and even though every sales associate had a video-friendly smartphone in their pocket, there was just no way to get the content from the brand to the front-line. The problem was much bigger than I’d thought. With that realization, NewKnow was born. Building industry shifting tools ain’t easy. The problem was now clear to me, and it was also clear that I’d need a ton of help. I reached out to my old friend and fellow Bishop’s University alumni Jaffray Hill to help turn this spark of an idea into a company that could overturn decades-old retail training practices. Jaff’s finance and tech background made him the perfect partner, but what cinched it were the high school years he’d spent learning the ropes as a sales associate for Sport Chek and his later experience as a brand owner for high-end women’s clothing. Like me, he had first-hand experience of infrequent product knowledge nights, and revolving products year round that customers wanted help with. Jaff understood the full scope of the problems retailers and their front-line staff were facing, and immediately joined on as Co-Founder. Armed with stacks of sticky notes and multi-coloured sharpies, Jaffray and I sat down to do a five day “sprint” that lasted five weeks, getting all our ideas up on a wall and roughing out what NewKnow would become. Once we had the framework in place, it was time to get someone with even more first-hand knowledge and experience in to tear the idea apart. We approached Hammie Hill, an experienced retailer and technology entrepreneur, to take a look at what we had. 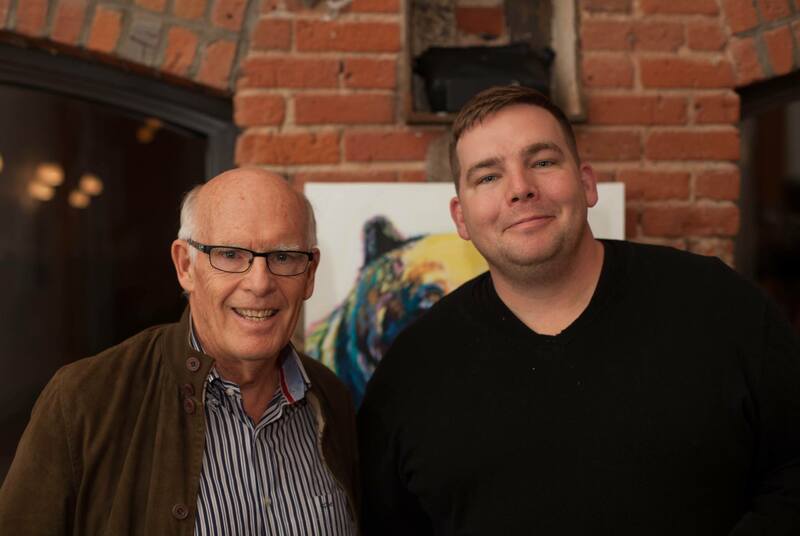 As the former CFO of Forzani Group (Canada’s largest sporting goods retailer) and then co-founder of multiple technology companies in Montreal, we were confident Hammie would provide some much needed perspective and executive wisdom. We hoped he would tear apart our assumptions and ideas, but very quickly, he saw the same opportunity we did. In fact, by the end of the afternoon, he sat back and announced “We need to build this ASAP!” He knew the pains we’d identified were familiar for all retailers, and he saw how technology could work well to overcome those challenges. So he joined us as co-founder, mentor and CFO. As is the case with most startups, this was where the real grind began. We knew what they wanted to build and knew that it would make a difference in the industry. Building a tool that could deliver on on this vision was the tricky part. NewKnow is the product of hard-won insights and real-world understanding of the ingredients in creating top-notch customer experiences and how to support the front-line in driving sales. 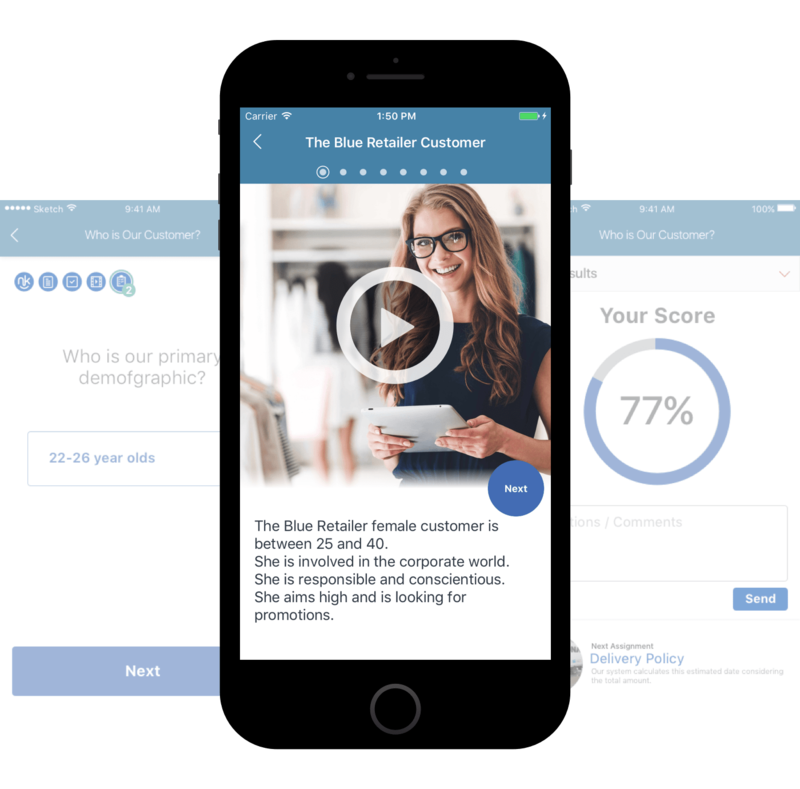 The result is a training and communication app that allows brands & retailers to connect, collaborate & train the front-line hourly workforce better than ever before. NewKnow’s mission is to help brands and retailers train better together by helping both both sides of the partnership train, onboard and communicate across their whole network with ease and accountability. After nearly two years of building, rebuilding, testing models, analyzing results and, most importantly, working closely with their first group of clients to refine their understanding of the challenges retailers and brands face, our team has created an elegant, straightforward solution that gives their customers exactly what they need. The vision is now a reality. A digital solution that dramatically reduces the cost and trouble of traditional retail training methods, adds accountability and insight into its results, and a full suite of training creation and distribution tools. NewKnow was released commercially in August of 2017. But this is just the start of a new chapter in the NewKnow story. Our team is constantly collecting feedback and working to improve our platform to offer more ways for retailers and brands to connect with store associates. Technology has threatened brick and mortar, but as Reid Hoffman says, it can also amplify it and help it bloom. NewKnow is here to help retailers inject more of what online giants just can’t provide- top-notch customer experiences by well trained staff. Ready to start training your staff? Try NewKnow free for 30 days today.